I've only heard REALLY POSITIVE things about Ruth and that she spends one-on-one time with you and utilizes other techniques like color therapy. A Holistic approach / healing treatment that includes acupuncture. Sessions last about 1 hour. When calling for an appointment with her assistant - make SURE it is WITH Ruth and not an other practitioner!!! LOCATION: Escazu (San Rafael) - A bright yellow building - Natural Sofia (in front of Lotus Restaurant) - on Calle Viejo. 125 meters West of Paco Plaza - on the north side of the street. INVESTMENT IN YOUR BODY: 38,000/session. She also has brought an AMAZING product from Ecuador - ME SECRETO NATURAL!! It's a natural product to regulate the digestive system and helps to eliminate fats through the urine and stools and lowers cholesterol (hence results in weight loss for many). Legally registered natural medicinal product with the Ministerio de Salud in Costa Rica. INVESTMENT IN YOUR BODY/HEALTH: 10,000 a visit. Dr. Kim is a really nice Acupuncturist (I've been to him in the past) that many clients have good results from. He does many clients at one time. He is a master of acupuncture & oriental medicine certified by California Oriental Medical Association & NCCAOM (The National Certification Commission for Acupuncture & Oriental Medicine) in the United States. Dr. Kim also holds Doctor of Naturopathy & Doctor of Philosophy in Nutritional Counselling. PERK: He often entertains people with his flute in between sessions! 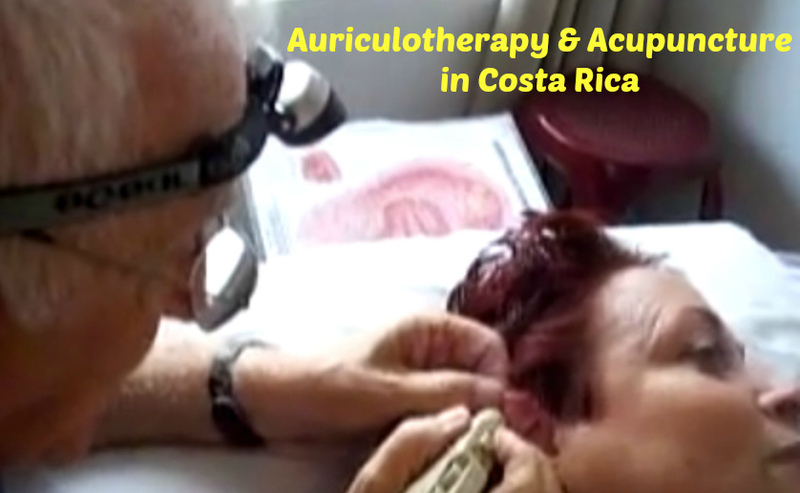 He speaks both English and Spanish - Besides being a certified acupuncturist he is also a chiropractor. I have yet to hear of a single complaint- only praise. If you visit one of the people mentioned here - PLEASE make sure you tell them Vicki Connected you! If you get any clients from it - Donations back to my blog to show your appreciation is GREATLY appreciated!